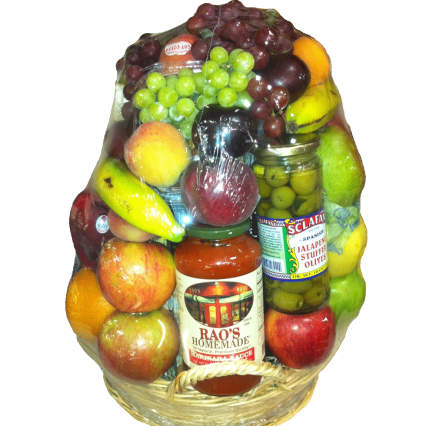 We make them with the freshest ingredients right from our store. 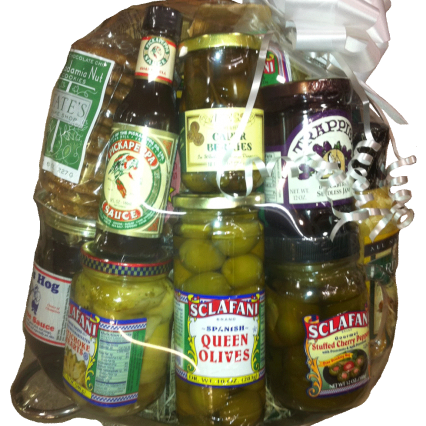 Create your own by picking out all your items or we will create one for you. We have many to choose from. 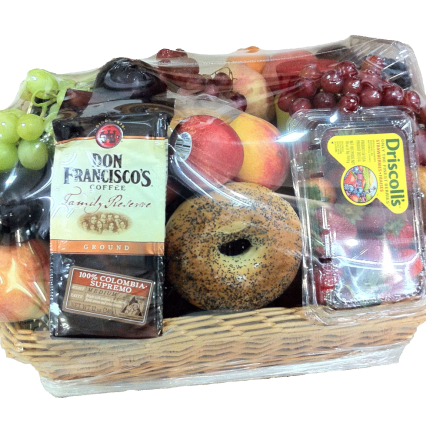 We make Breakfast Baskets, Gourmet Italian Baskets, Fruit, Nut, & Cheese Baskets, and many more! 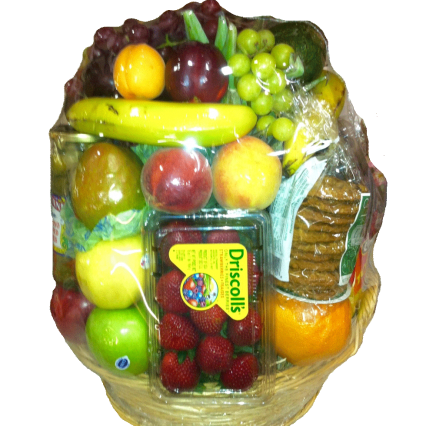 Most fruit and food baskets start at $50.00. However, your options are endless. 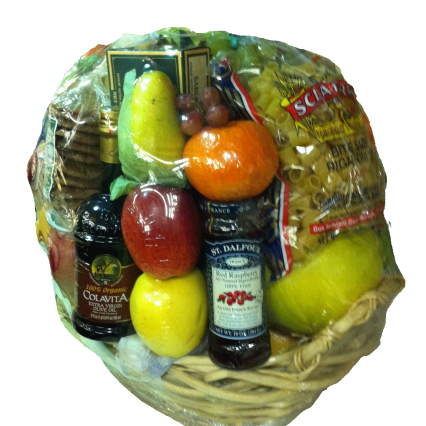 We have made theme baskets, ethnic baskets, party baskets, even dinner baskets, which consist of steaks, potatoes, vegetables, and salad fixings, along with the candles and napkins. 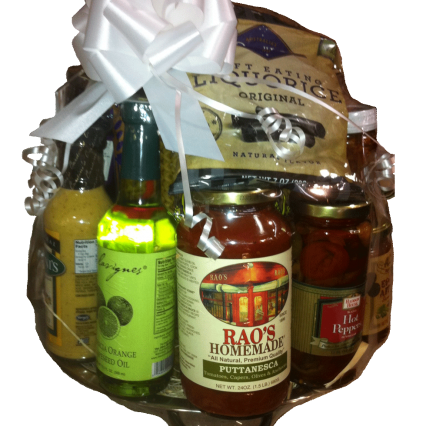 Below is a small selection of our basic baskets. 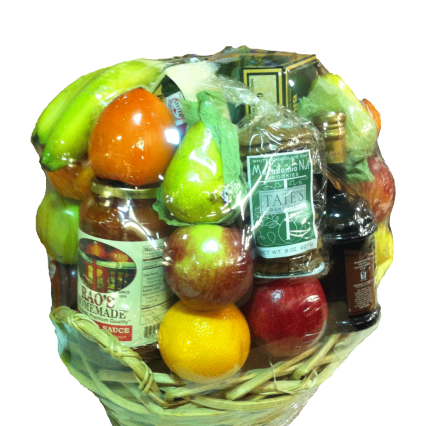 2938 is an example of a breakfast basket while 2934 & 2935 are nonperishable. 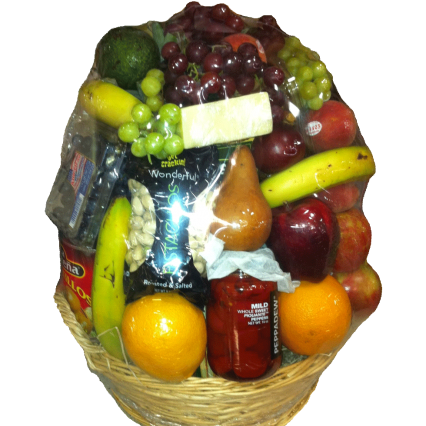 If you’re thinking of ordering one or multiple baskets please give us a call – we love the challenge!